I love these Planet Box lunch boxes. It was a splurge but totally worth it. 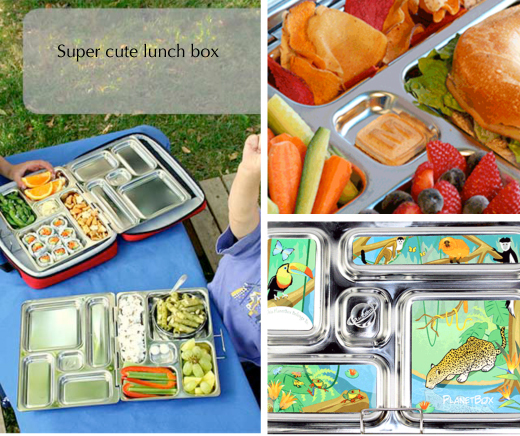 They are made of stainless steel so I know that plastic is not leaching into the kid's food. These are very well made...super tough but not too heavy. I just rinse what is left over into the garbage disposal and put the whole thing into the dishwasher. The magnets are super cute and when the new school year comes around I will order some new magnets to change things up a bit. It helps to have a great lunch box when looking for GFCF inspiration. People usually think it must be really hard to go gluten free. Well try gluten free, casein (dairy) free and soy free. Actually, it sounds hard but it is really quite easy. I'll show you why. Here is a pretty typical packed lunch for A.J. (for summer camp). It looks simple...and it is. But it took a a few years to find foods that she could eat and that she loves. So I am happy to share our secrets in hopes that it will help other families. BREAD - My Mom makes some really yummy bread for A.J. But between loafs, we get this GFCFSF white bread at our local grocery store, Publix. We found this yummy, soft sandwich bread fairly recently. 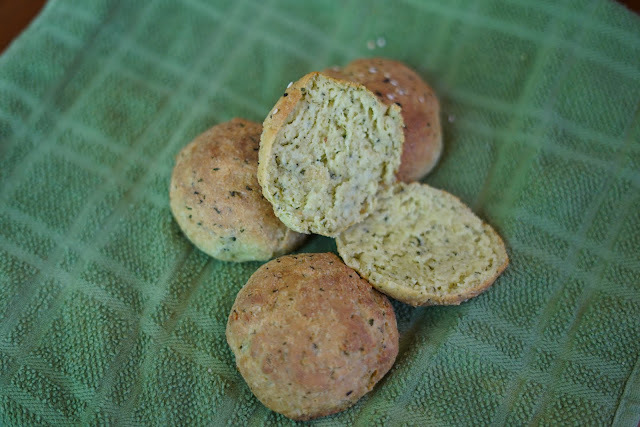 We had tried millet and flax bread in the past which is technically gluten free and tastes just like regular bread. But she turned out to be allergic to millet and flax. I don't recommend millet and flax bread for spectrum kids. Udi's white sandwich bread is made with brown rice flower. It is GFCFSF (gluten free, casein free and soy free). So it is perfect for A.J. It also tastes great and she loves it. A few years ago there was no bread option and so we rolled up pieces of lunch meat like how you see on a party platter. She would dip the lunch meat in different dressing and in pastes like hummus or guacamole. CHIPS - The Publix blue corn chips are organic and she likes them. CONDIMENT - We have not found any butter or margarine that has no soy in it, but Spectrum Organic Vegetable Shortening is butter flavor so it tastes just like margarine. A.J. does not like mayo, or I would use the canola-oil mayo on her sandwich. We buy this at our local health food store, Mother Earth. APPLE SLICES - These apples we got at Publix. Usually we buy organic apples but when we are feeling lazy we get the ready sliced ones. This is quite rare though because I don't like that they are packaged in plastic with BPA's in it. How do I know this?...the recycle number 7 is printed on the plastic packaging. 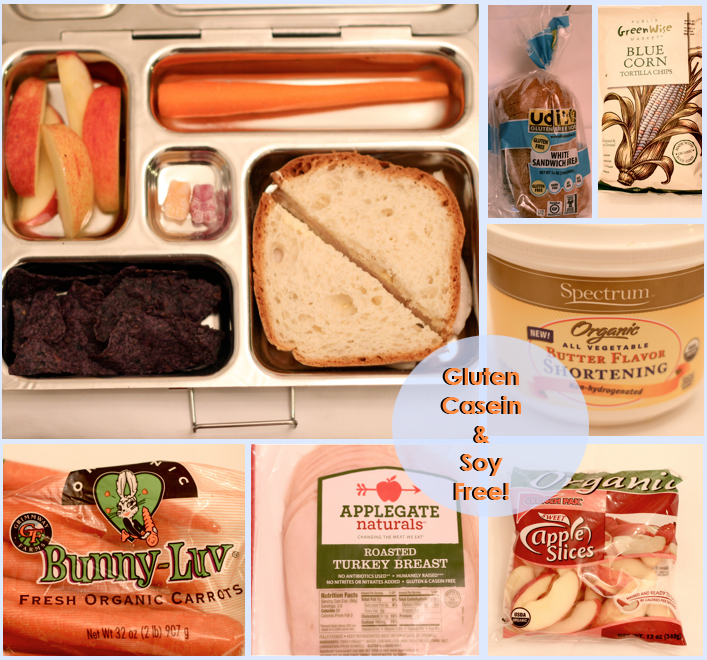 LUNCH MEAT - We like the Applegate lunch meats (I included the coupon link btw). The meats are organic or natural. The organic kind is very expensive so sometimes we opt for the "natural" like in the picture below. I usually buy chicken though since turkey has an ingredient that makes one sleepy! So if A.J. is going through a lethargic phase we use the chicken lunch meat and not the turkey. CARROTS - The carrots are a new discovery that came from using the Planet Box. Since it has that long container section at the top, I thought that I should get a long carrot and peel it and see if she eats it. She does! I put a couple of Gummy Bear Rhino Vitamins in the little section in the middle. They are a delicious treat and a great source of calcium with vitamin D. She thinks they are candy, he he. My Mom makes amazing GFCFSF cupcakes for A.J. but more on that later! Sugar affects A.J. 's behavior seemingly 1000 times more than it does my other 2. And it just isn't fair to give her siblings lots of yummy ice cream while she stands by and watches. So everyone is equally deprived of the stuff. Instead we have frozen fruit and the kids LOVE it. My favorite thing about this is just how easy this daily snack is and berries are full of antioxidants. 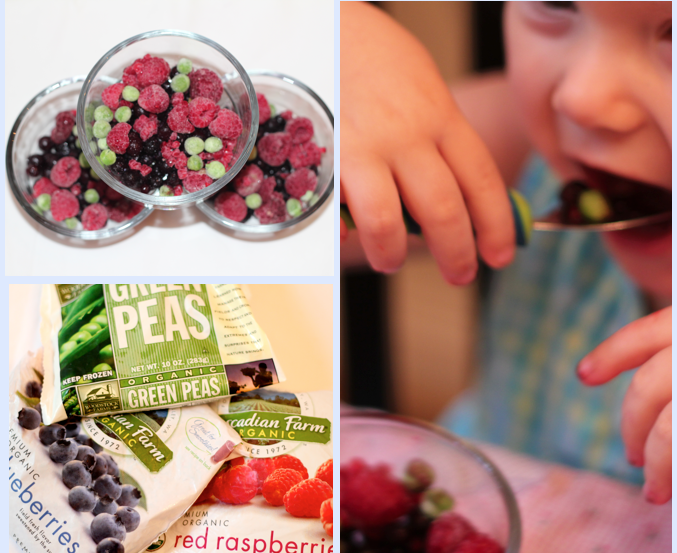 This snack is made up of 2 bags of frozen, organic berries. There is no sugar on top, and I even manage to sprinkle in a few organic frozen peas "for color" and they eat it. My kids do not like cooked peas. Frozen peas, however, are a different story. I have learned that they will eat pretty much anything that has "snow on it." We have to serve it right out of the freezer because A.J. tells me that she doesn't like the fruit when it is thawed because it is now "dead." Also, there is nothing messier than mushy half-thawed blueberries and raspberries...so don't pack them in a school lunch. This has been our after school/camp snack all summer long. These small glass dishes in the photo are the glass containers available at Publix. They have BPA free plastic lids too and are great for refrigerating leftovers. I love that since they are thick glass, they are hard to break (OK dropped on hardwood...but not so OK on tile...done both). And I love that you can see very clearly, with a glance, what leftovers in there. I also enjoy how they look so neat and tidy all stacked up in the fridge. You can buy organic frozen fruit at pretty much any grocery store. Here is a link to sign up for Cascadian Farm Coupons. (1) GFCFSF and even organic, Mac and cheese box from Earth Origins. The seasoning to "mimic" cheese doesn't really taste that great so we put that aside and made our own cheesy sauce. (3) After the mac and cheese it made I used Henry and Lisa's Alaskan Pink Salmon in a can. I was very happy to see that the can lining is BPA-free. Amazing. The secret to this tasting good is that after you open the can you fill the can with fresh water and use the lid as a way to stop the salmon from falling out as you squeeze the old water or oil from the can. If you rinse the fish like this a few times, it takes away the fishy taste and it much more mild, like tuna. It is much better to eat since it is so much lower in mercury. 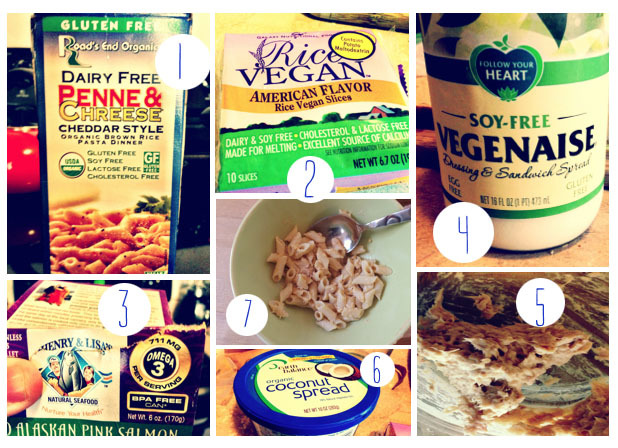 (4) I mixed the salmon in with 'Follow Your Heart' Vegenaise. I don't usually like Vegenaise but this kind is delicious. I'm gong to eat this tuna salmon-fish every day now, I swear, it is so good. (5) This brand of salmon mushes up so well that it had the consistency of tuna. Yummy. (6). Mix then together with some (soy free) coconut spread (instead of butter or margarine). (7) Now here is our mac and cheese and tuna casserole, just like in the cooking book my daughter brought home from school! I have been dong the Ketogenic diet, along with my oldest daughter who is on the autism spectrum and it is working for brain fog...big time. We started out with the whole family but it didn't seem to work properly for anyone except DD and I. The main problem with this is that I am a bread person. I like good yummy bread. Luckily, there is a kind of bread known as "fathead" bread or bagels, because of a movie where they make these. First you melt the cream cheese and mozzarella together in a big glass bowl in the microwave for 120 seconds. Stir and then microwave for another minute. Then stir in the almond flour, salt and two eggs. After it cools down enough to be able to kneed the "dough", mix it all up with your hands, then pull it in to about 8 or 9 balls and place them on parchment paper in the oven. Bake for 16 minutes. 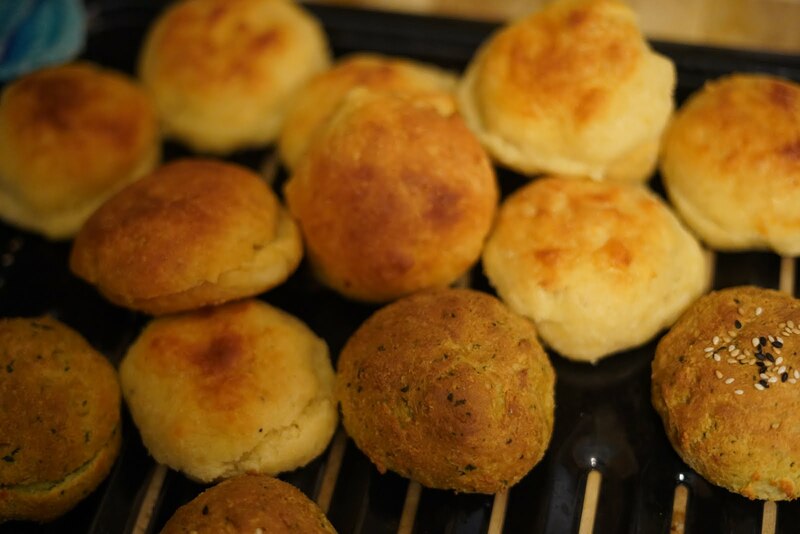 To make the "brown bread" rolls, I added 1/4 cup of pureed fresh spinach, then let them cook for 26 minutes so that the outside was completely brown and not green. They are a little more substantial and feel very much like bread. The inside is delightfully green but not noticeable with lettuce and mayo added. My favorite way to eat these are with mayo, tomato, lettuce and sometimes sliced avocado. Yum! I made about 20 of them today so that I could freeze them for the week. When I cheat with the diet I feel awful. I get a headache and a stomach ache. But what motivates me to stick to this, is that I like how I feel and I don't want to give it up. I feel clear-headed and it is amazing. I have noticed that my daughter has much less brain fog too, and she is doing very well in her homeschool classes and is able to help around the house much more. So for us two this diet is working really well, making the effort worth it. I have to be careful that she doesn't loose weight on this and have succeeded. But the weight loss aspect of it has been an added bonus for me. The diet is hard because it is very restrictive with the foods you can eat and the foods you can't eat. It is very weird to avoid carrots and apples (because they are high in carbs). 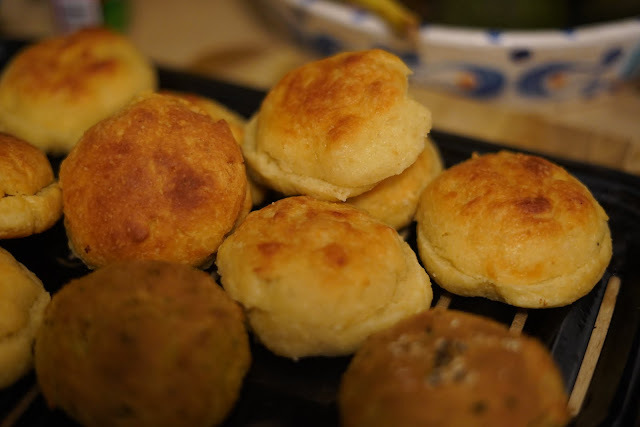 But I am getting used to it now, and after making the Keto Buns about 20 times now, I think I have it perfected and they are quite simply yummy.